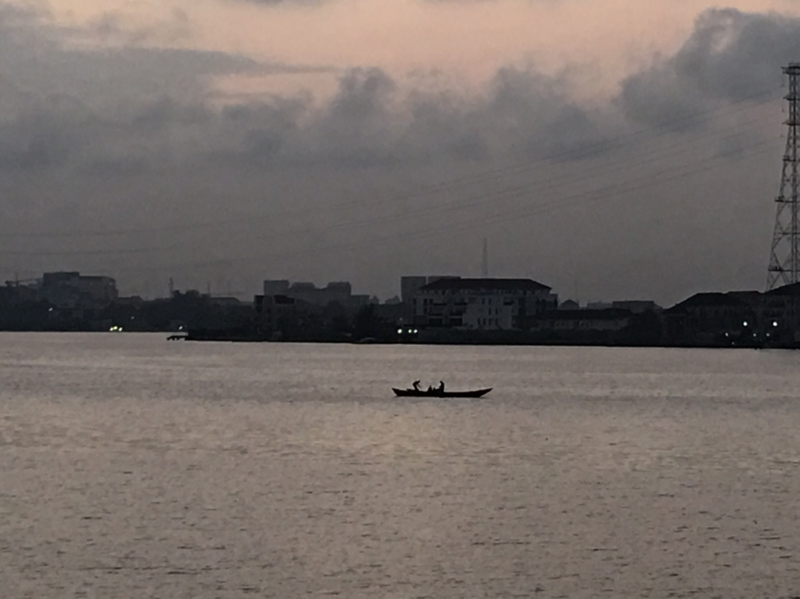 Growing up in Lagos as an Indian immigrant for nearly 15 years, I thought I had seen it all. From the traffic (affectionately known as go-slow), to the haggling with local vegetable sellers and prolonged power outages, there is a controlled chaos that binds together the residents of the world’s sixth largest city. Agriculture is a key component of the Nigerian economy, making up 24% of its total GDP. However, the agricultural sector has not kept up with rapid population growth, and Nigeria now imports many food products to keep up with demand. With the recent decline of world oil prices, the agricultural sector has seen a new revival, with the government and private sector joining hands to increase local production. Enter Babban Gona (BG), an award winning agricultural organization and currently Kiva’s only field partner in Nigeria. BG aims to play a huge part in the revival of local agriculture. Founded in 2012, BG is already one of the largest maize-producing entities in Nigeria. 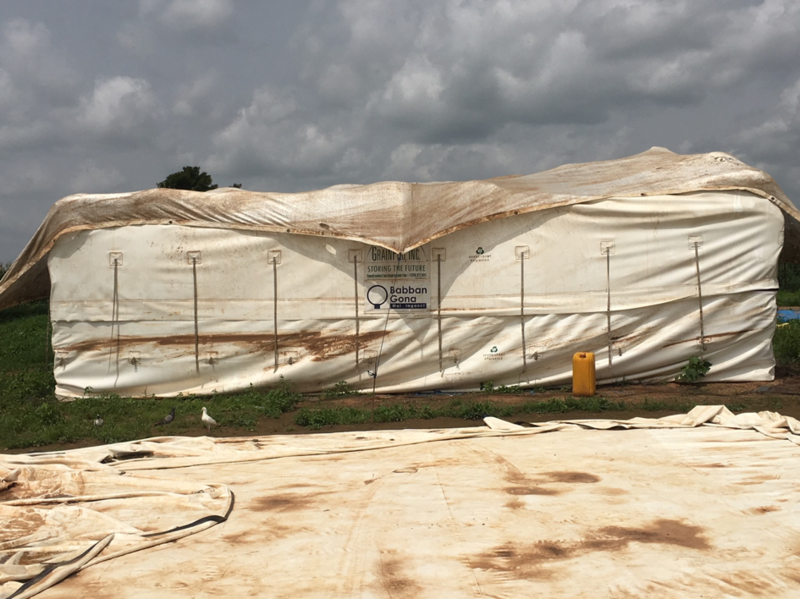 It was founded with the intent of providing employment to people affected by the activities of Boko Haram in northern Nigeria. With Kiva’s support, Babban Gona has lifted 80,000 people out of poverty. I got to experience this first-hand when I visited Kaduna, BG’s center of operations in northern Nigeria. 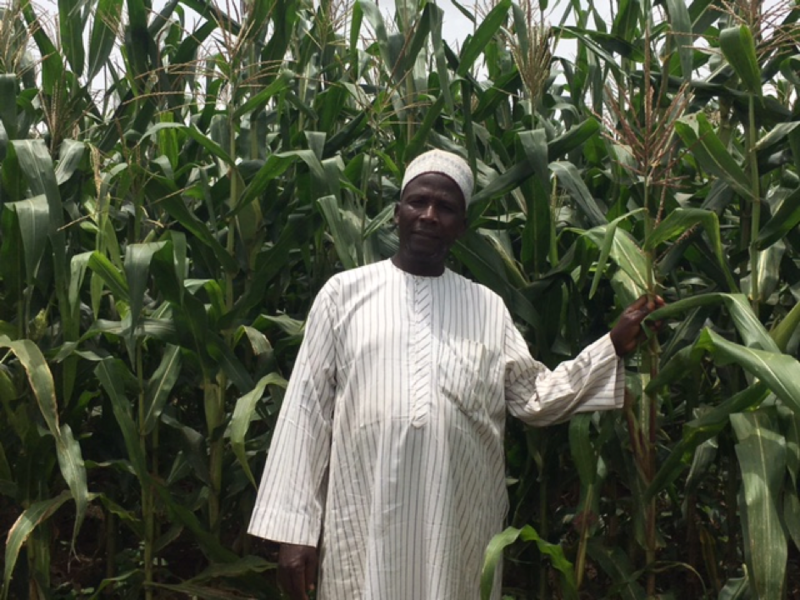 The first farmer I met, named Aminu, is an older Alhaji man who has been growing maize in his fields for many decades. He only became a BG member 2 years ago. He got very emotional as he talked about how his yield has now doubled, and makes much more money than he used to thanks to BG. He has become an unofficial spokesperson referring a lot of his friends and family to BG. Besides Aminu, I got to speak to other local farmers as well. I learned that the seeds and farming techniques used by Babban Gona were being replicated by other local farmers too, increasing overall maize production across the region. These positive externalities are a blessing to the local population. Since BG currently has limited capacity to take on new farmers, their work in the region has encouraged many others to adopt modern farming practices and make a living off the land. If you would like to help Babban Gona reach its goal of lifting 1 million farmers out of poverty by 2020, please view their fundraising and funded loans here. Born in India and raised in Nigeria, Arushi came to the U.S. in 2006 to pursue a degree in Economics from West Virginia University. After graduating with an MS in Economics at Tufts University in 2012, she spent 5 years in various strategy and analytics roles across the financial industry. This made her realize the importance of credit in spurring entrepreneurship and increasing overall levels of economic activity. Her experiences while living abroad made her aware of how difficult it is for a small business owner to gain access to capital at reasonable interest rates. Arushi is passionate about learning about the possibilities that lie at the intersection of technology and finance, particularly in emerging markets. She is extremely excited to combine her domain knowledge and passion for international development to support local field partners in West Africa in strengthening their relationship with Kiva and to see first-hand the impact of microfinance in the field.